As we say goodbye to 2017 we would like to take the opportunity to thank all our customers, partners and investors supporting us throughout these very interesting times. 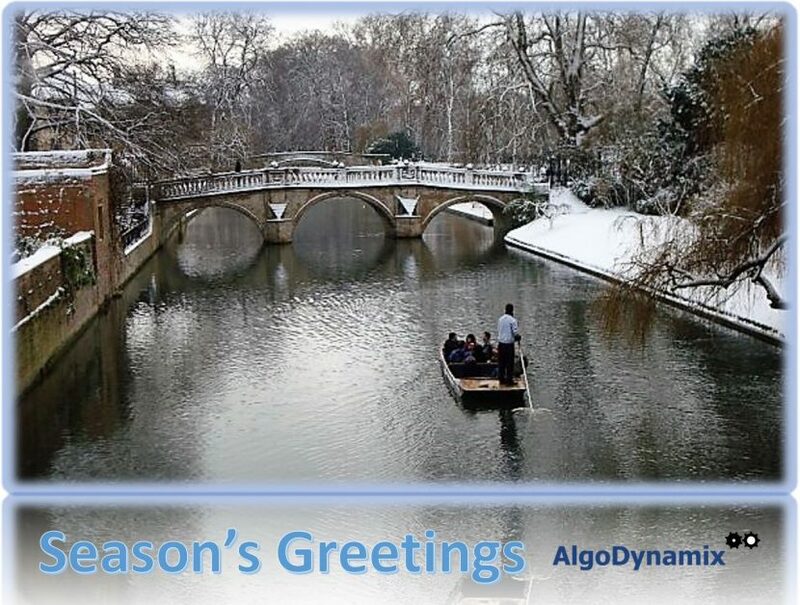 This year has been exceptionally exciting with two new product launches, yet more awards for the groundbreaking AlgoDynamix AI risk analytics forecasting technology and major new client wins all around the world. Some highlights from 2017 as below including as well a sneak preview for Q1 2018. Read More: Happy Holiday Season and 2017 overview – thank you!